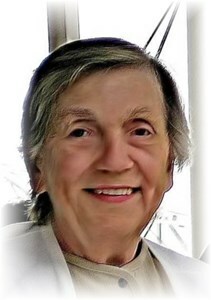 Shirley Louise Travelstead Williams, 87, of Louisville, KY, passed away on Friday, November 30, 2018 surrounded by her family. Shirley was retired from Colorcraft and enjoyed her retirement years in Florida. She was born on April 2, 1931 in Louisville, KY to Teddy & Hattie Travelstead. She is preceded in death by her husband, William Eugene Williams; her parents, Teddy & Hattie Travelstead; and sisters, Dorothy Rule and Carole Dennis. Shirley is survived by her loving children, Billie Williams, Chris Williams (Linda), Rita Parks (Mike), Julie Fowler, Angie Parks (Harry) and Maureen Lamarr (Mike); six grandchildren; and five great-grandchildren, plus one on the way; and one sister, Lillian Neely. Visitation will be from 4 pm to 8 pm on Thursday, December 6, 2018 at Newcomer Cremations, Funerals & Receptions East Chapel (235 Juneau Drive, Louisville, KY 40243), A service to honor the life of Shirley will be held on Friday, December 7, 2018 at 10:30 am on Friday at the funeral home, burial will follow at Kentucky Veterans Cemetery Central at 1:30 pm on Friday. The family requests that contributions in Shirley’s memory be made to Winship Cancer Institute of Emory University (1440 Clifton Road NE, Suite 170, Atlanta, GA 30322) or American Cancer Society. Add your memories to the guest book of Shirley Williams. To my dear cousins: Your Mom was super! I just loved Aunt Shirley. She will be so missed here, but in God's grace with Uncle Billy and the family. I will continue to keep you in my prayers.